Attend State and local trainings for youth, such as Chittenden County Above the Influence Leadership Retreat,Vermont Kids Against Tobacco and Our Voices Exposed Rally, and the Working with Youth Conference. Facilitate student-led awareness activities such as "Ghost-Out" and "Mock Crash" to raise awareness about the dangers of impaired driving; "Red Ribbon Week" to raise awareness about drug use among middle school youth and "Dialogue Nights" to help youth and community adults communicate about tough issues. On October 22, 2018, Champlain Valley Union High School had their Club Fair. Students get a chance to see what clubs CVU has to offer and allow them a chance to become involved. Our very own CY LEAD group set up a table, and look at all the cool things they were handing out to students. They had 47 students sign up to be a part of the CY LEAD group. LEAD stands for Leadership Education the Anti-Drug. Students work at educating their peers and the community on the dangers of alcohol, drugs and more. 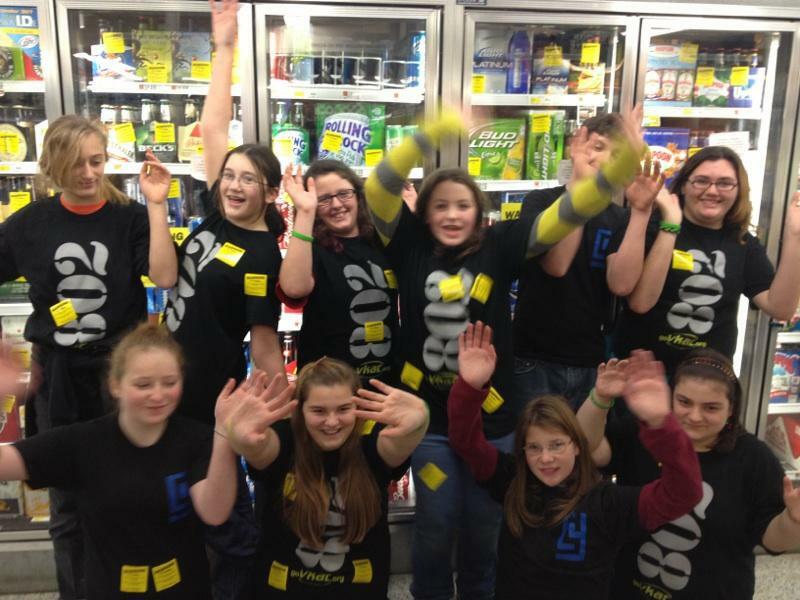 CY Student Leadership groups thrive in the middle schools and high school in Champlain Valley School District. Students work with adult advisors to educate themselves, their peers, younger students and the community at large about what it takes to support students and the communities they live in to make safe and healthy choices. Through regular meetings and activities, students get the word out! Their goals include reducing underage and binge drinking, reducing youth smoking rates and to creating and support youth leaders. ​These groups also host nationwide campaigns at HCS including: Red Ribbon Week, Free My Ride, Smoke Free Zone, Kick Butts Day, the Great American Smokeout, Counter Balance, and Sticker Shock. 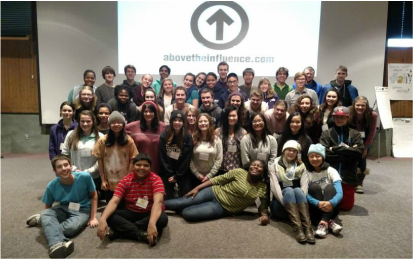 Every year CY collaborates with the other Chittenden County prevention coalitions to offer an Above the Influence Youth Conference to students. The retreats alternate annually between a middle school and high school focus. Above the Influence offers students an opportunity to come together with like minded peers and ask themselves the big questions about “Who am I really?” and “Who do I want to be?” all while celebrating the individual and making healthy choices by remaining Above the Influence. The conferences offer inspiring speakers, leadership development, and educational activities, all planned by youth! More information about Above the Influence can be found here: http://abovetheinfluence.com/. 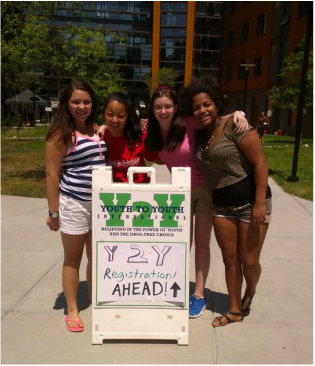 Every summer CY sends students and adults from it's CVU Student Leadership Groups to Youth to Youth International. ​Youth to Youth is a recognized leader in engaging youth in positive change. Their one-of-a-kind conference experience, led by trained teens alongside adults, is the training that groups across the country count on annually to serve as a vital catalyst to initiate or improve their youth prevention programming. Students who attend meet and befriend other substance-free teens from all over the country, develop skills to make positive choices, attend interactive and informative workshops, hear nationally known speakers, develop action plans to create change back home in their schools and communities, learn vital leadership qualities and skills they can use for a lifetime, and most importantly, HAVE FUN!